This isn’t just a great list of computer skills for your resume. It could also get you hired. It shows how to pick which skills to list, and how to put them on a resume. That dream job won’t hire you without the right computer skills. But hiring managers can see through made-up lists like a polished break room window. A great computer skills resume list to make it easier to build the perfect resume. How to list computer skills on a resume so it stands out like Steve Jobs helped write it. Why resume bullet points with measured achievements beat any list of computer software. How to improve your software skills quick to get hired fast. We’ve got the best computer skills for resumes below. Your resume shouldn’t blend in with the crowd. If it does, you’re sunk. So—don’t copy-paste computer skills lists to your resume. That’s what everyone is doing. Prove you’re computer proficient, and the hiring manager will sit up like her mother told her to. Show you’ve used computer skills to slash costs, raise revenue, or send productivity to the moon. I’ll give dozens of great examples here. Spreadsheets. Excel, Google Drive, OpenOffice. Pivot tables, comparative analyses, link to database, macros, sensitivity tables, vertical lookups. Email. Mail merge, filters, folders, rules. Want some computer skills resume samples to help you describe your skills on a resume? That’s next. Pro Tip: Don’t put all these software skills (or even most!) on your resume. Find out which are most important to the hiring manager. Don’t have them? Take a class (we’ll show you where in a moment). Your resume should make the hiring manager say that. So—go beyond just knowing what computer skills to list on a resume. Check out the computer programs list below. Each has great examples so you can write the perfect bullet points. The Zety resume builder will help you describe your computer skills on a resume. Plus, it will help you show off your best PC skills with ease! Computer Skills Resume Sample. 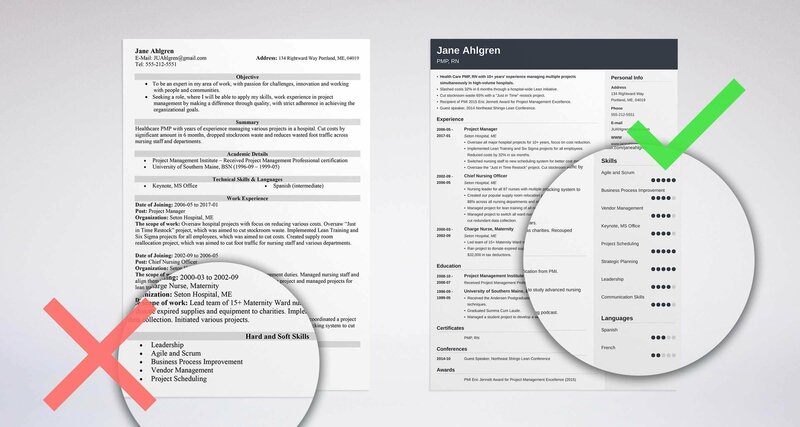 See more resume templates and create yours now. Don’t worry, skills lists are absolutely fine. In fact, 35% of employers cite a lack of skills lists as a common resume mistake. Any computer skills list won't do. You need to know what computer skills to list on resume to get hired. Hiring managers expect MS Office computer skills. So everybody lists them. Mentioning Microsoft Office skills on a resume is like saying you can breathe air. It’s implied. Yet everybody does it. Don’t be everybody. Prove your skills. Can you modify macro scripts? Do mail merges? Write Excel formulas? You’ll have to show achievements that match the job posting to get hired. Used MS Word’s tracking and commenting to collaborate on reports with 30 cross-functional team members. Wrote Excel formulas to add conditional formatting to budgeting spreadsheet. Gained 30% reduction of overages. See how that shows a benefit to the employer using MS Office skills on a resume? Google Drive and G Suite are increasingly important computer resume skills. That’s thanks to their excellent collaboration features. But what Google Drive skills does this employer want? Collaborating with comments? Linking live spreadsheets to websites? Show you’ve done those in your resume. Created sensitivity tables in Google Sheets to show profit margins at different price points. By picking better points, raised profits 11% in 6 months. Used Google Sheets’ VLOOKUP to design question/answer bot to automate FAQs. Saved estimated 70% of trainee time spent searching for answers. Can you do pivot tables? Comparative analyses? Find achievements that prove your spreadsheet computer skills on your resume. Need real-world examples? There’s a Quora thread with lots of useful spreadsheet projects that really helped. Used Excel pivot tables to help coworkers identify best suppliers. Created 25% cost-savings across 200+ person company. Wrote Excel macro to automate 5,000 monthly screenshots of client pages. Saved 70 hours/mo across all 10 departments. Find me someone who can’t send an email and I’ll show you the rock they crawled from under. But can you send scheduled messages? Do a mail merge? Scan the job ad for duties that match your email computer skills. Then list achievements in your bullet points that prove you’re the Thor of email. Created monthly catalogue mail merges with MS Outlook, Word, and Excel that reached 40,000 customers/mo. Used Outlook folders, rules, and tasks to save an estimated 3 work hours per week. System was adopted by entire department of 7 coworkers. If you can serve up a juicy Powerpoint presentation, employers know you can communicate. Have you convinced clients or employees with a presentation? Trained coworkers? Don’t just list Powerpoint with your resume computer skills. Show a positive effect your knowledge had. Created a Powerpoint presentation that raised buy-in for gloving/gowning rules by 40%. Trained 30 nurses in new C. Diff prevention techniques with engaging Powerpoint presentation. Big companies use Oracle, Teradata, IBM DB2, or similar software to crunch spreadsheet files. Smaller companies may use MySQL or MS Access. Have you used Access to automate repeated data tasks? Did your skills boost productivity in some way? Show software skills on your resume that fit employer needs like a parameter query. Created an MS Access VBA module that processes 50 large CSV files with one click, saving 5 hours per week for 20 employees each. Designed an information search form in MS Access employees can use to find client information quickly, cutting 40 hours per month of wasted searching time. Small and mid-sized businesses love Quickbooks. It makes budgeting, expense tracking, and bookkeeping easy. Does the employer want someone who can manage cash flow, invoicing, accounts payable, payroll, or employee time? Show your Quickbooks computer skills achievements and get the interview. Set up automatic download of all credit and bank transactions to automate Quickbooks data entry. Saved 10 employee hours per month. Slashed late bill charges from vendors to zero by automating payments with Quickbooks. Here’s a list of 20 cool things you can do with quickbooks to make employers drool. Listening to customers is the #1 business skill today. Social media and websites are the top ways companies do it. Do you rule Facebook, Twitter, WordPress, or content management systems? What have you done to make hiring managers gawk like prairie dogs? Ran a Facebook giveaway that got 76,481 views, 3,300 likes, 460 comments, and 150 shares. Delivered one long-form article per day in WordPress, complete with all metadata including Yoast SEO optimization. Writers need a skills burrito with ingredients like WordPress, Yoast, SEO, research, technical writing, journalism, ghostwriting, Google Sheets, and MS Word. The trick? Don’t list them all. Read the job offer like it’s got the meaning of life and even talk to current employees about their jobs. Once you know what the company needs, list achievements that fit like shrink wrap. Wrote 15 technical manuals in two years. Commended by clients in each case for brevity and clarity. 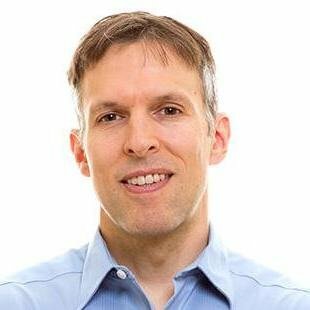 Led a team of 3 researchers for a personal finance blog. Created 780 live-updating spreadsheets that kept articles fresh in real time. Are you going for a job that needs graphic skills like graphic designer or web developer? That dream employer might want someone who can slay with Photoshop or InDesign. Pull those skills from the job offer. Then show achievements on your resume that put you on a computer skills pedestal. Maintained a 95%+ positive client rating across 200+ brochures created for clients with Photoshop and InDesign. Received the HOW Logo Design Award for one of my 150+ logos created with InDesign. Coding computer skills are vital for most tech jobs like software engineer or programmer. But they’re also handy in almost any job. What challenges does your chosen company face? Do they need help with security, web development, data analysis, or coding? Built infrastructure to process millions of files in proprietary client systems. Added security to existing product features. Achieved 100% compliance with industry best practices. Enterprise systems are major software packages used by big businesses for accounting, customer relationships, and other tasks. Automated billing systems, Customer Relationship Management (CRM) and Enterprise Resource Planning (ERP) are all examples of enterprise systems. (There’s a full list in this Webopedia reference.) Find the ones the company uses (or wants to use). Then show you’ve mastered them. Grew revenue 22% by using Salesforce data analysis to track key sales team activities. Automated reports with Oracle Netsuite to cut reporting costs by 25%. Pro Tip: Don’t tack a big list of computer software to your resume and expect the hiring manager to do a gainer. Want to know how to say tech savvy on a resume? Do it with achievements. You sent out 300 resumes and didn’t get one reply. You probably have the right computer skills. You’re just not showing them correctly. Knowing what computer skills to put on your resume. Adding numbers that show their size. Today’s hiring managers are jaded. Most resumes show the same software skills list. So, read the job ad. The hiring manager put the computer skills she wants in it. You can also call or email an employee at the company to ask what skills they use. Nobody does this, but it can get you hired. Wrote Excel macros to automate the timekeeping process for payroll. Kept payroll up-to-date in real time and saved 20 accounting hours per month. Created Excel shop management routine still in use by shop 3 years later. It doesn’t just say you’ve got the right computer skills. That’s called quantifying achievements, and it’s resume magic. Pro Tip: Some job postings don’t show explicit computer skills. But—budgeting employees need Excel skills. Bloggers use WordPress. Look at non-software skills in the job ad and think what PC skills would get you there. You don’t have the basic computer skills you need to get the job you want. There are great online classes to beef up your software skills fast. Here’s a list of PC skills classes to get you on your way. You can do most in a few hours. All of them look great on resumes. MS Office. Get official Microsoft training and certification, or try third-party paid training. There’s also some great free YouTube tutorials out there. Google Drive. Check out the GSuite Learning Center, or a Lynda tutorial to beef up your Drive computer skills. Spreadsheets. Unlimited classes from Skillshare (for $8 a month) can help your rows-and-columns computer skills. Email. Lynda and Microsoft offer MS Outlook courses. (The Microsoft ones are free.) You can also learn to do a mail merge here. Powerpoint. Try a free Microsoft online class or a Lynda course. An ONLC certification looks good on a resume. Database Management. Microsoft and Lynda offer video training for Access. Oracle, Teradata, and other proprietary systems have their own trainings. Quickbooks. Intuit, the maker of Quickbooks, has a speedy online certification. Social Media. Hootsuite gives a trusted social marketing certification. Hubspot offers a free online course. Web. Try Codeacademy or Coursera to level-up your web development computer skills. There are also WordPress classes. Graphical. Adobe offers Photoshop and InDesign certification exams online. Those prove your graphical software skills. To build them, try a Lynda course. Enterprise Systems. Salesforce, Hubspot, and Oracle NetSuite give trainings and certifications. Pro Tip: Don’t have time or money for a course? Don’t fret. Certifications aren’t necessary, but they do help entry-level resumes. Use the computer skills list above to get started. Don’t list every skill. Read the job ad to see which few the employer craves. Don’t just list software skills on a resume. Show what you’ve achieved with bullet points. Add numbers. Percentages, dollar figures, and productivity measures can bring your computer skills resume list to life. Take classes. Don’t have the right software skills to get hired? Classes can help—usually in a couple hours. Do you have questions on how to list PC skills on a resume? Not sure how to describe your achievements? Give us a shout in the comments! We’d be happy to reply. A management skills list beyond the typical. See the managerial skills you really need, and how to prove management skills on a resume/interview to get the job.